The supporters of Satish Jarkhiholi even today continued their protest for his non inclusion in to the cabinet. They also stopped traffic at Rani Chennama Circle for a few minutes and shouted slogans against Congress leaders. 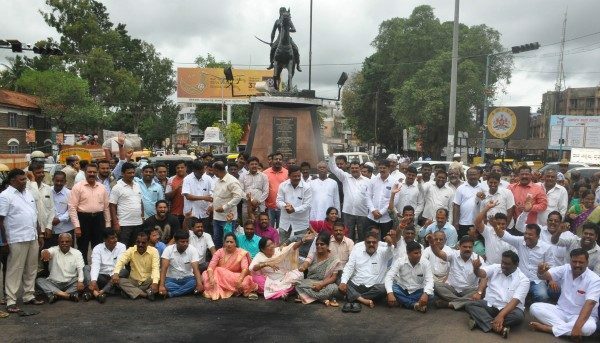 Arun Katamble, Zilla panchayat vice-president, told media that around 15 ZP members and 28 taluk panchayat members would send their resignations to party president in protest. Speaking to the media at the Belagavi airport Satish Jarkiholi said, he would resign from the AICC secretary’s post in two days.